Every year a million Dalits gather at the site of the first Conversion to Buddhism in Nagpur, India. Since 1956 millions of Dalits have responded to Dr. Ambedkar’s appeal to adopt Buddhism and escape the caste system. Today in thousands of villages and towns the homes of Dalit people have shrines with pictures of the Buddha and Dr. Ambedkar – a man they revere as a Bodhisattva. 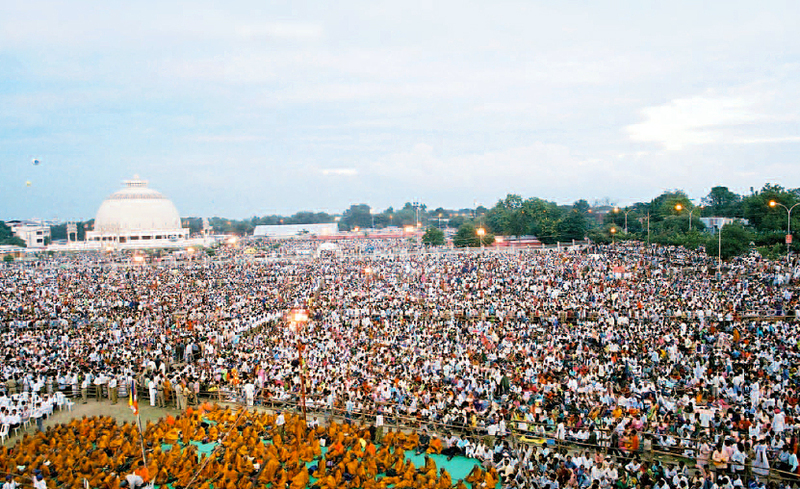 Each October over a million Dalit Buddhists come to Nagpur to rally at the site of the original conversion. In spite of their poverty and lack of education and resources, the new Indian Buddhists are working to create a just society and develop their understanding of the Dharma. In many places temples, meditation centers and social projects have been developed, and new generations of young Buddhists are working to realize Dr. Ambedkar’s vision of social justice and personal growth based on the ancient teachings of the Buddha. Participants in the Buddhist revival movement have a variety of approaches, ranging from an emphasis on spiritual practice to a focus on social transformation. Some people are committed to Dharma teaching and practice, and others are involved in community organizing, social work and education. Nagaloka is a training center for Buddhist activists located near Nagpur. It operates a ten-month residential course that has provided instruction in meditation, Dharma and community organizing to over 600 young people since 2001. Nagaloka is also a conference center that has hosted well-known Buddhist teachers, such as the Dalai Lama and Thich Nhat Hahn. Each year thousands of pilgrims visit the Walking Buddha statue at the center of the Nagaloka campus. Since 1972 this Buddhist sangha has reached hundreds of thousands of people through its meditation and Dharma classes, public talks, health centers, pre-schools and hostels for boys and girls. Affiliated with the international Triratna Buddhist Order, it is committed to realizing Ambedkar’s vision of the Dharma as a means of personal and social transformation. 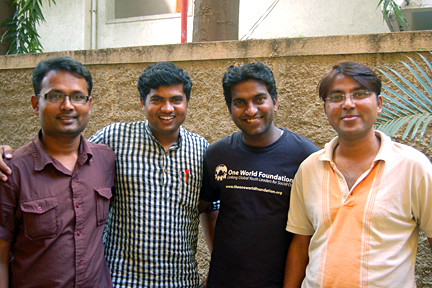 Manuski works to transcend caste barriers through social development programs and legal interventions against discrimination. The staff at Manuski is also working to develop leadership among Dalit women and create bridges between different Dalit groups and organizations. Manuski has been very successful at bringing international attention to incidents of extreme violence targeting Dalit people in India.